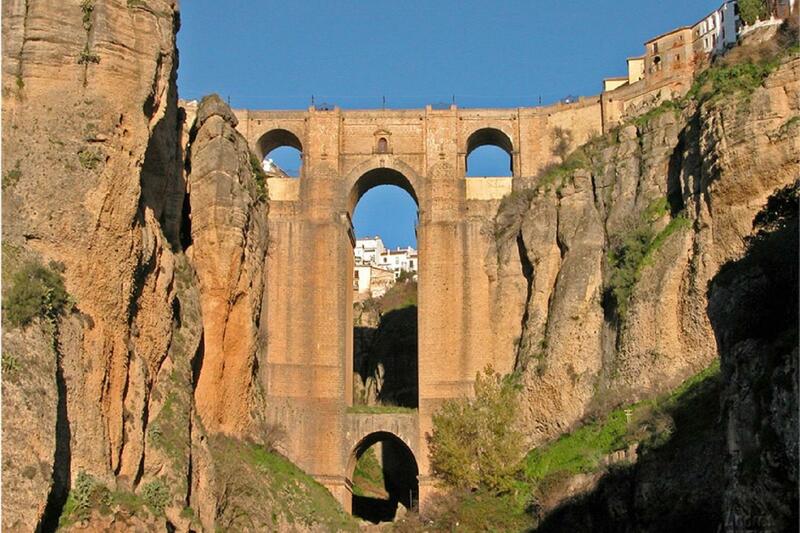 The Almocábar Gate was one of the main entrances to the fortified city of Ronda. It consists in three gates and two semi-circular lateral towers. The Plaza de Toros de la Real Maestranza is considered as the cradle of bullfighting. Is one of the most ancient and picturesque bullrings in Spain. 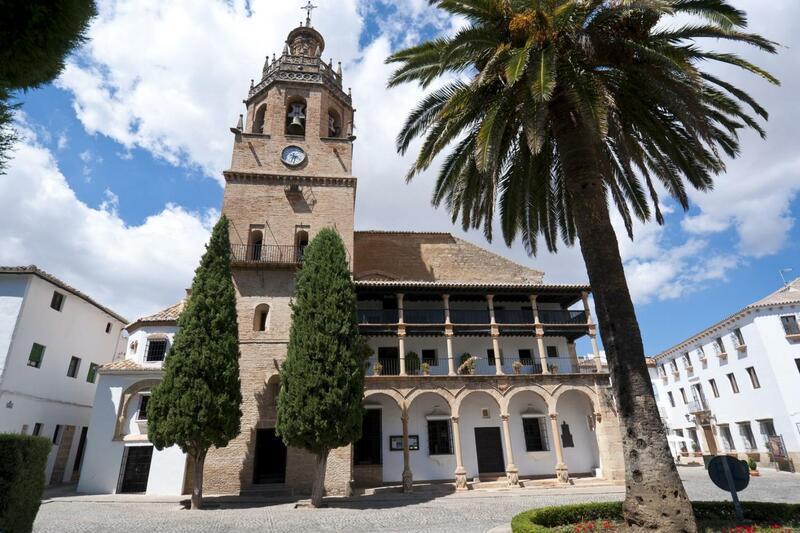 The Santa María la Mayor Church beautifully mixes the Gothic and Renaissance style. The Catholic Monarchs ordered its construction. 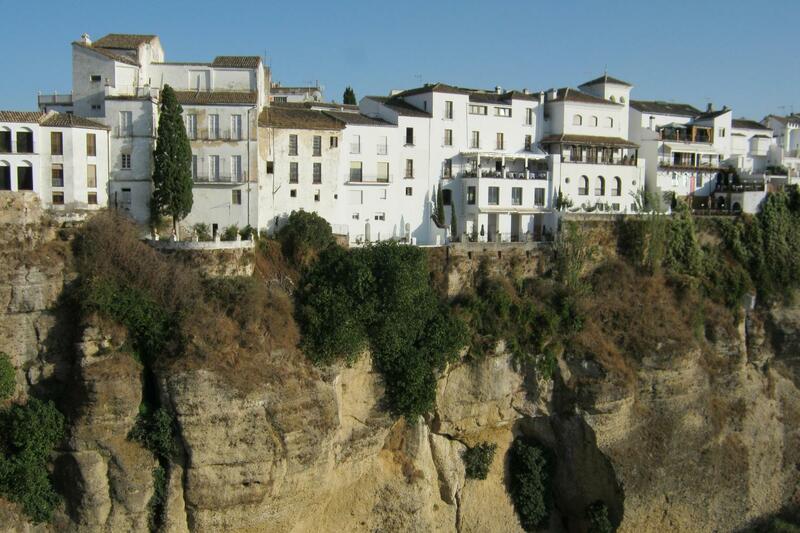 Ronda is a city of wines. The Bodegas Sangre de Ronda opens its museum and offers the chance to taste its best wines. Entrance ticket for the Bullring and Wine Cellar. This tour can have multiple pickup stops. Please contact Julià Travel Gray Line 48 hours prior to your tour departure date to re-confirm your booking and pick-up point details. 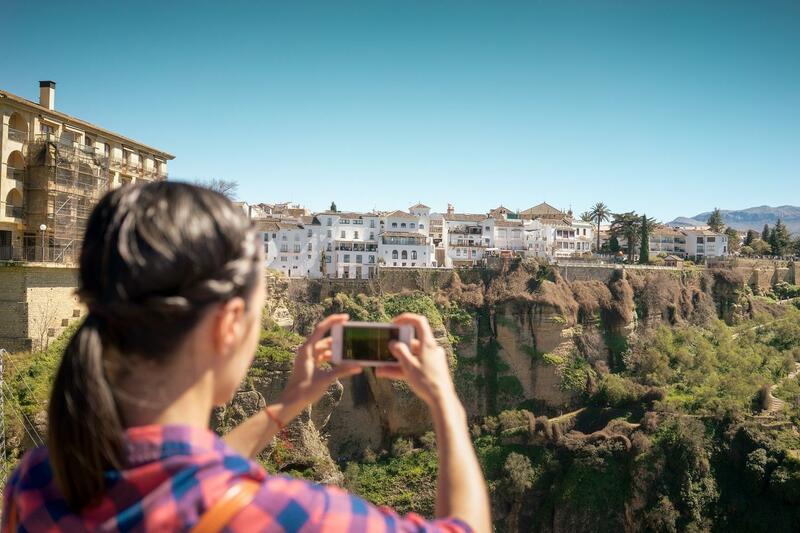 Come with us to visit the fascinating city of Setenil de las Bodegas & Ronda, one of the most historic locations in southern Andalusia. Admire the beauty of its rugged landscapes and breathtaking views, feel the relaxing atmosphere of its streets in 1-hour free time. 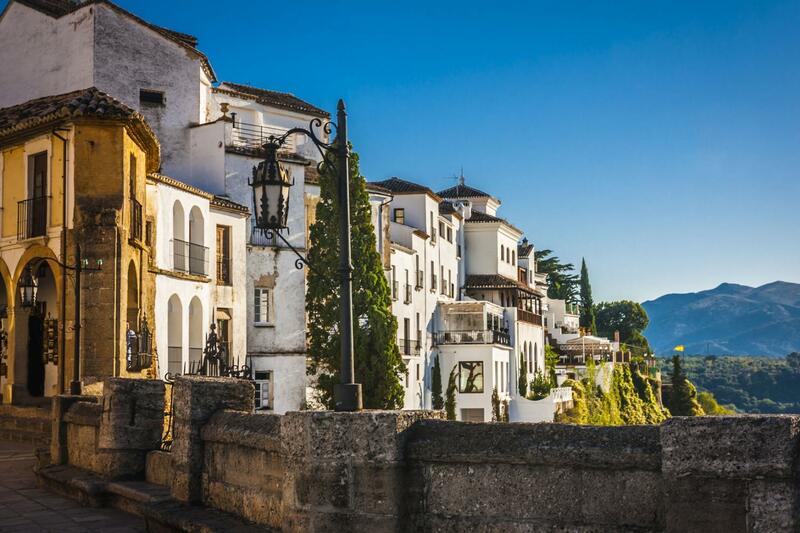 After that and once reaching the village of Ronda ,you will enjoy a sightseeing guided tour of its main attractions including Puerta de Almocabar (Almocabar Gate), the Iglesia del Espiritu Santo (Church of the Holy Spirit), the Town Hall Square, and the Iglesia de Santa Maria la Mayor (Church of Santa Maria la Mayor). We will continue with a full visit of the Plaza de Toros de la Maestranza, one of the oldest bull rings in Spain and also site of some of the most important events in bullfighting history. 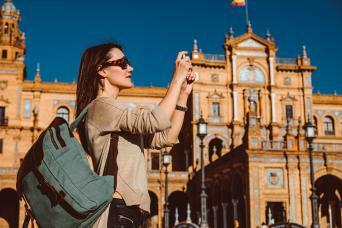 It is considered the birthplace of traditional bullfighting and also home of the world known Goyesca bullfight, where the decoration and the clothing of bullfighters and spectators brings us to the age of the famous painter Goya. You will also enjoy the visit of the bullfighting museum inside. Later on, we will go to a local winery called Bodegas La Sangre de Ronda. This is a wine museum that explores the historical and cultural impact wine has had on this region. You will also have the opportunity to taste some local wines. Free time for lunch and to discover the city at leisure before we drive you back to your pick up point in the Costa del Sol.